Graphic designer with passion to logo design. "It was a genuine pleasure working with Mladen. He was responsive and professional at every step of the design process. He used our feedback to create several rounds of revisions until we had a final design everyone was happy with. 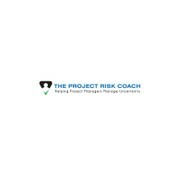 I would invite him to ..."
"I am thankful for the experience that I had with mladen.11, the winner for creating a logo for The Project Risk Coach. He was highly responsive and exceeded my expectations. Thanks for a superb job!"